Your motor oil for your everyday urban riding. Urban riding itself is tough and only the toughest riders survive the everyday challenges on the road. 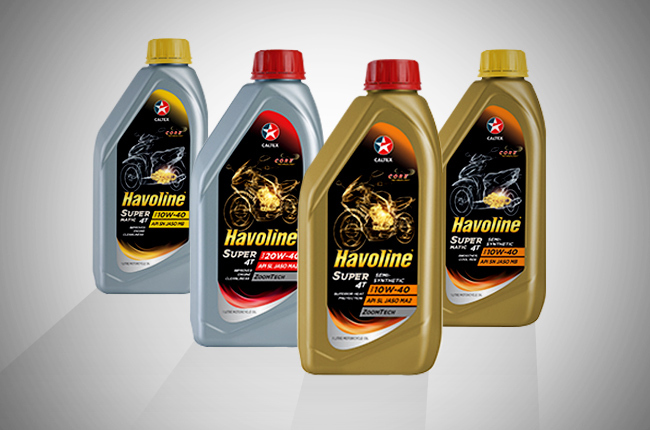 Considering this, Caltex formulated a new line of Havoline motorcycle engine oils that’s designed for urban riding. 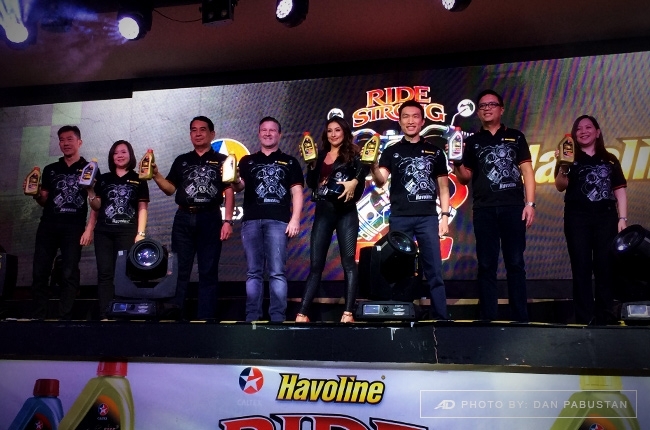 The motor oils were launched at the Ride Strong event with Caltex brand ambassador Solenn Heussaff. New to Caltex Havoline's line of motor oils are the Super 4T Semi-Synthetic and the SuperMatic 4T scooter oil. The Super 4T Semi-Synthetic, according to Caltex, has improved performance in static friction index compared to the Super 4T Synthetic Blend. This gives it an advantage to better clutch grip and higher rate of acceleration than the synthetic blend. The new oil range is said to have been crafted to give the engine an optimum heat protection and better performance. More so, the SuperMatic 4T has been upgraded for dry-clutch gearboxes suitability for lower frictional properties. It is now compatible to almost all Japanese scooters in the market. The line features Caltex Havoline's enhanced C.O.R.E. technology, as well as its ZoomTech additive technology. Cleans and protects for a more efficient and clean engine to deliver superior performance. Oxidation stability provides heat protection against oil degradation. Reduces engine heat damage with superior oil stability for continuous protection. Enhances acceleration through improved clutch grip even under high loads. Oils formulated with ZoomTech improve clutch grip for better power transfer to enhance acceleration. "It has always been our pride to provide innovative solutions to our riders not just in enhancing their bike's engine performance but also in making their experience more exciting and valuable. This is what motivates us to further develop and innovate in our creations for our riding community." The new Havoline Super 4T and SuperMatic 4T motorcycle engine oils are now available in all Caltex stations and local auto supply shops nationwide.